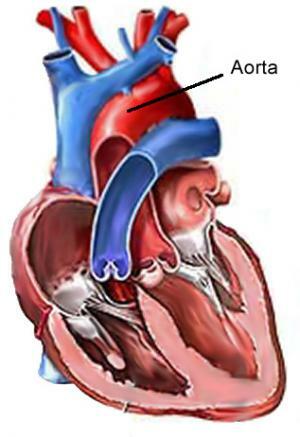 The heart's, aortic valve is a tricuspid valve that separates the left ventricle and the aorta. Aortic valve replacement is a surgical procedure which includes replacement of the patient's damaged aortic valve with an alternate healthy valve, during open heart surgery. The surgery must be performed if the aortic valve does not function properly because it became damaged due to some heart conditions. The valve may become leaky, which is a characteristic of aortic insufficiency, or it is changed in a way that is does not allow proper opening (a characteristic of aortic stenosis). This surgical procedure is performed under general anesthesia. During the surgery, in order to replace the aortic valve the heart must be stopped. The blood is redirected and transferred to all body parts with the assistance of a heart-lung machine (bypass machine). What follows is removal of the damaged valve and its replacement with prosthesis. Once the valve has been replaced the heart is reconnected with major blood vessels and it starts pumping blood again. The chest is closed as well as the incision on the skin. When is Aortic Valve Replacement Necessary? Aortic valve must be replaced in two cases. The procedure is necessary in case of stenosis (narrowing) of the opening between the left ventricle and the aorta and in case of the aortic valve insufficiency when the blood regurgitates from the aorta back to the right ventricle. This is a frequently performed cardiac operation and it is highly successful. There are two types of artificial heart valves, tissue and mechanical heart valves. Tissue heart valves are mostly obtained from animal tissue. This particular material is treated so that rejection and calcification can be prevented. There is one more option - a homograft. A homograft is a human aortic valve. They are harvested from human donors after they die. And finally, there is one more option called the Ross procedure or pulmonary autograft. In this procedure the damaged aortic valve is surgically replaced with the patient's own pulmonary valve and this very valve (the pulmonary valve) is replaced with a pulmonary homograft obtained from a cadaver. Mechanical heart valves are made of artificial materials and they last longer comparing to tissue valves. Still, they carry increased risk of blood clot formation and this is why patients whose aortic valve has been replaced with a mechanical heart valve must take blood thinning medications for the rest of their lives. This particular treatment carries certain risks such as increased susceptibility to bleeding. How long can artificial heart valves last? Are there different types of artificial heart valves? Can artificial heart replace heart transplantation? What To Expect After Total Artificial Heart Surgery? What are advantages of artificial heart valves?